This article was featured in Zankyou's print magazine Bride2B (2018) and analyses the survey results of almost 2000 participants, revealing the current behaviour of buyers in the bridal fashion sector. 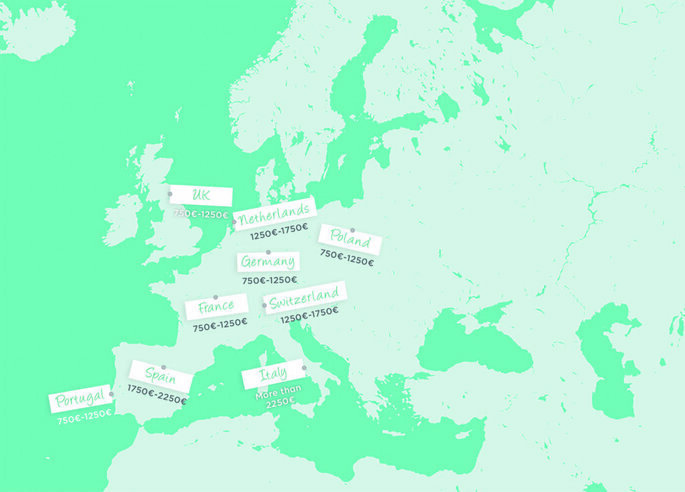 We identify the perfect wedding gown across five key european countries. In December 2017, Zankyou carried out its annual international bridal fashion survey. We received almost 2,000 responses from both former and soon-to-be brides. The results highlighted a range of interesting facts about brides in the 9 different countries. Italy continues to have the highest average budget amongst the European countries, with 41% of brides spending or willing to spend at least 2250€. After Italy; Spain, France and Switzerland were the next biggest spenders on their weddings gowns, with over a third of brides spending more than 1750€ on their gowns. 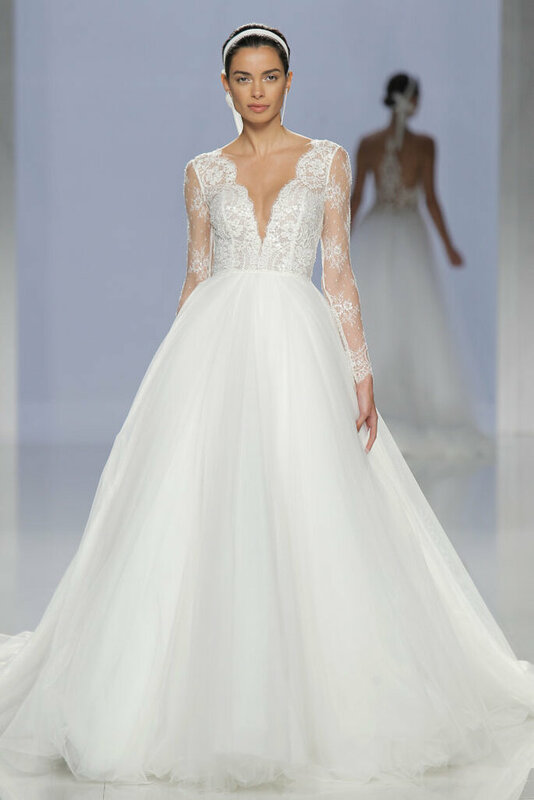 Although there has been a very slight fall in the average planned budget of key countries such as the UK, Germany and Portugal compared to the previous year, an overwhelming majority of all our surveyed brides-to-be said they would be willing to exceed their budget for the perfect dress, with the exception of Poland. Furthermore, Poland and Italy were the only two countries where the majority of surveyed brides stated that buying from a national designer was important to them. Whereas, 75% of all participants across Europe suggested they would show no preferential treatment to home-grown designers. This presents a great opportunity for designers who currently only supply to national stockists to penetrate new international markets; brides are eager to see what designers beyond their national borders can offer! In fact, brides in Switzerland, Germany and Portugal were the most willing to travel abroad in search of their perfect dress. (Get the survey results here). We also asked our brides to state the features which make the perfect dress. These were the results according to brides in the UK, Spain, Italy, France and Germany. material was tulle and lace. Many international designers have targeted the UK specifically knowing that they are amongst the largest spenders on their weddings on the whole. Nevertheless, there are many British designers who are making a name for themselves in Europe and North America. Italian brides are among the greatest spenders in Europe on bridal fashion; like our British brides, our Italian brides had a preference for a sweetheart neckline. Whereas they preferred the more traditional white gown in an A-line silhouette. Their preferred material was lace; befitting of the country with a longstanding manufacturing history of the delicate fabric. Significant Italian designers supply the market on an international level, offering both classic and alternate designs. The strong German economy makes it a very attractive market for foreign designers, who have a significant presence throughout German bridal stores, offering all styles imaginable: From typical classic designs to modern styles. 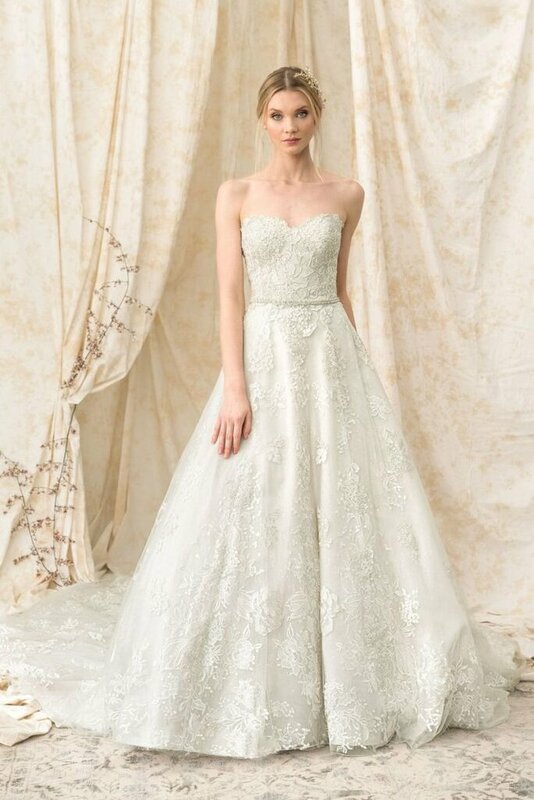 According to our German brides, the dream wedding gown would be an elegant, ivory, A-line dress; made with the ever-popular tulle and lace combination and finished with a feminine sweetheart neckline. French designers are renowned for high-end fashion and quality bridal apparel. They have long served both their domestic and the global market. Our French brides told us that their perfect dress would be the image of elegance and class. They dreamt of a white, V-neck ball gown, made with the classic lace and tulle. Not only do Spain and France share geographic borders, but our survey revealed a shared preference for wedding dress styles also. 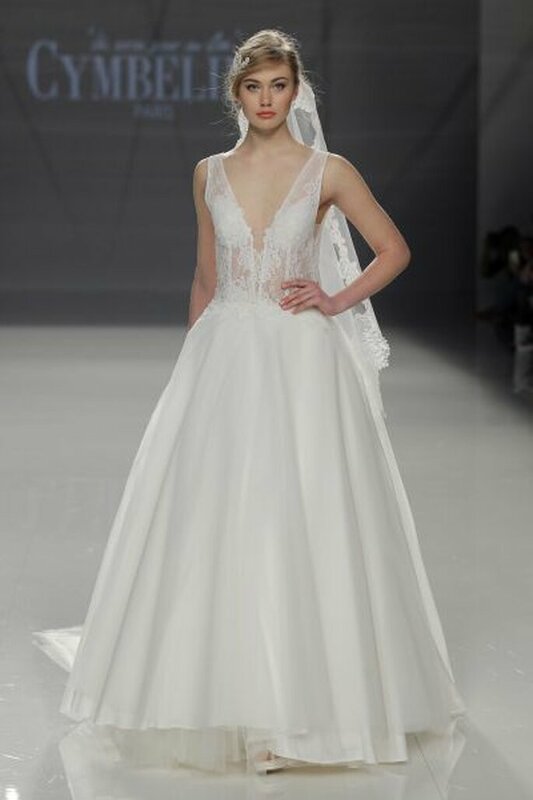 Surveyed brides from Spain also described their perfect wedding dress as a white ball gown with a V neck, using tulle and lace to complete the look. Spain is home to many of the world’s most popular bridal designers, so Spanish brides don’t have to look far for their dream dresses. It should be the ambition of all designers to create new and intriguing designs for the market. Although, general country preferences and trends may be used as a basic guide, like all fashion, they are subject to periodic changes. Designers ought to supply a range of styles in all sizes and to all budgets to fully meet industry demand and the universal desire of brides for a “unique gown”. Article featured in Bride2B (2018): Digital copy now available!